Honda is going to launch the new Civic in India, and this is a super-exciting new car to look forward to packed with incredible style and luxury. The new car is the 2016 model and it is expected to launch sometime in 2016 or 2017. The new Civic is only going to intensify the competition power of the luxury sedan market, and before we browse through the fierce contenders of new Honda Civic, let us explore the features of the car and analyze what is new about this car compared to its predecessor. The car is engineered on the new Accord platform and it will have a new front design and watch out for the new and creative Flying H grille. The other interesting features to look into is huge bonnet and lowered air intakes. The 2016 Civic will have new tail lights and shorter rear deck, and the design here is going to be more intense as observed in the concept car. An important point to take note of is the 2016 Civic is going to be wider and lengthier than the previous car. According to reports, the interior of new Civic is expected to be more exquisite than the previous model with regard to features, quality and design. The car is going to be packed with advanced safety features such as multi-angle rear view mirror, Honda Lane Watch, lane departure warning, forward collision warning, adaptive cruise control, electronic stability control, electronic brake-force distribution and anti-lock braking system. For Indian markets the new Civic will be powered with an advanced diesel 1.6-liter i-DTEC mill that generates 300Nm and 118bhp. 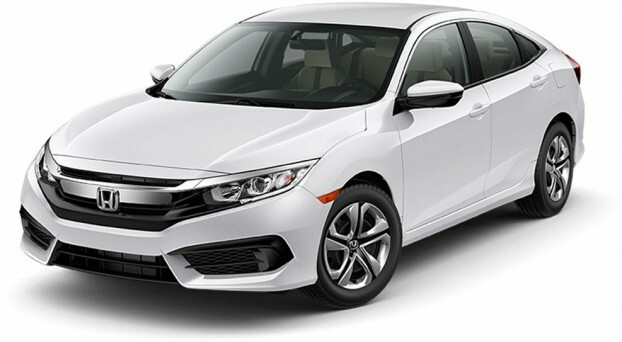 Now since we know the overall features of new Honda Civic, let us browse through the top five competitors and analyze the competitive position of the car. 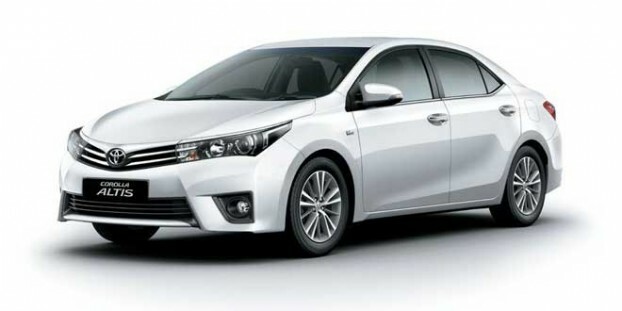 Corolla Altis looks stunning and has a style statement that is highly favored all over the globe. The car is designed with world-class Furia design technology and it has an exceptional style statement. View the car from the front and you will notice a new square design and the sloping bonnet has neat clear cut creases. The interior is great covered in a neat beige décor and the most loaded car has fine beige leather upholstery and shiny wood inserts. These are the standard features to take note of electronically internally adjustable outer rear view mirrors, parking sensors, rear air con vents, EBD, ABS and passenger and driver airbags. The higher-end cars have electronically adjustable seats, world-class touchscreen infotainment system, xenon lamps and front parking sensors. The car runs on a potent 1.4-liter diesel and 1.8-liter petrol engine, the diesel engine churns 205Nm and 87bhp and the petrol power-train pumps out 173Nm and 138bhp. The new Elantra is introduced in India at a price of Rs 12.9 lakh, Elantra has a fantastic style statement, and the fashion statement of the new car is even more superior. It has a bolder and more distinct style statement, and it is covered in a stronger material. The car is built with a more rigid 53% advanced high strength steel and this will enable stronger handling and greater driving comfort. Dimension wise the new Elantra has more to offer, it is 25mm wider and 20mm longer than its predecessor. The superior styling of the new Elantra compared to the previous car is contributed by door pocket lights, body color outer rear view mirrors and door handles, chrome decorated radiator grille, LED position lights and projector headlights. For optimum comfort and safety, the car has rear parking sensor, hill-start assist, electronic stability control, EBD and ABS standard features, speed sensing auto door lock, front ventilated seats, curtain and side airbags and sunroof. Chevrolet Cruze looks awesome visible on the inventive and aesthetic style statement, and the features that highlight the intense sophistication value of the car are huge hexagonal two-piece hexagonal grille, artistically styled sweptback headlights, LED daytime running lights surrounded by glossy chrome. The interior of Cruze is amazing, it has a marvelous 7-inch touch screen with Apple Car Play and Android Auto compatibility and the other interesting features to look forward to are keyless entry, rain-sensing wipers, six-way adjustable driver seat, electronic sunroof, ABS, side and front airbags and dual airbags. The car is powered by an advanced 4-cylinder 2.0-liter turbocharged diesel VCDi power-train that generates 380Nm and 166bhp. The new Volkswagen Jetta looks great and it has new headlights with LED lights, new grille, redesigned front bumper and new tail lights. There aren’t many changes in the interior of the new Jetta compared to the previous car, but some of the changes noticed are new steering wheel, and attention assist system. The car is powered with super-powerful diesel 2.0-liter TDI and TSI 1.4-liter petrol engine. This is a safe car to drive in and the world-class safety features offered in Jetta are height adjustable front seat belts, hill hold control, electronic differential lock, anti-slip regulation, ABS with brake assist function, electronic stability control, advanced engine immobilizer, three back head restraints, central locking system with two remote control folding keys, engine guard, six airbags, retro reflectors in four doors and break pad wear indicator. The new Skoda Octavia looks posher compared to the previous car, it has an aggressive styling contributed by the superior styling of front grille, and LED daytime running lights. Also watch out for the artistically designed C shaped tail lights turn blinkers and reversing lamps. The interior looks stunning covered in a vibrant beige theme with glossy faux wood trim. The most loaded car has rear air con vents, power seat for driver, audio fitted steering, traction control, ESP, EBD, ABS, six airbags, rear and front parking sensor and touch screen music system. There is ample room and storage space contributed by the presence of bottle holders and cubbyholes. The car is offered in three variants Elegance, Ambition and Active, all models have a powerful 2.0-liter diesel turbocharged TDI engine that generates 320Nm and 141bhp. The Ambition and Active car is equipped with 1.4-liter TSI mill that churns 250Nm and 138bhp.